The girls at ~ Front Door Fabrics ~ are not only making a difference in our homes here in Charlotte by assisting us in selecting fabrics, furniture and accessories for our interior projects, but they’re also making a difference in the lives of women less fortunate. The girls at Front Door Fabrics have adopted a mission to support ~ Sisters in Service ~ with a vocational women’s center in Mali, Africa. The center provides 9 months of training to abused and abandoned women and provides their graduates with a sewing machine of their own to start a business to support their children and provide hope for a better future. While I gush over imported fabrics on a daily basis, I often forget to look beyond the beautiful colors to the worlds where they are produced. It is heart warming to meet girls in your own community that are sharing their own success in these war-torn countries to make a difference. Front Door has won my business in the past with their well-edited selection of fabrics and the largest selection of pillow forms I’ve ever seen, but they have now assured me, without a doubt, they are my favorite MATERIAL GIRLS! I know many of you don’t live here and can’t reap the benefits of having Front Door Fabrics in your own neighborhood, but you can visit ~ Sisters in Service ~ and learn more about how to get involved and how the proceeds from the books sold on Sisters in Service will help bring new life to abused and exploited girls. 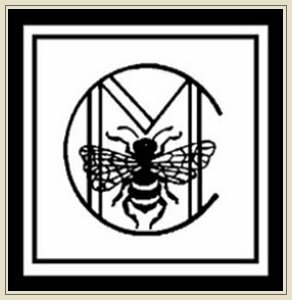 Want to meet my material girls? 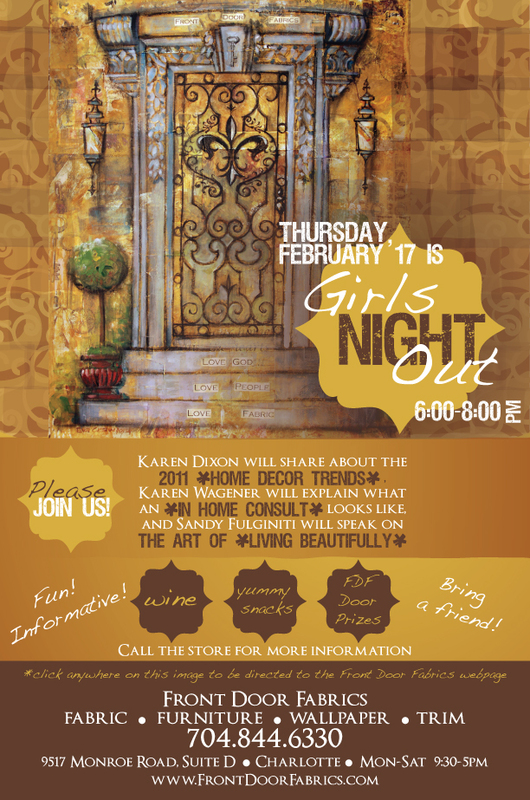 Girls’ Night Out on February 17th from 6-8pm! An event for just us girls in their shop!